As of February 2013, Daisy Bram's children, all of whom are younger than three, have been removed from their mother's care and placed in the foster care system by Tehama County, CA authorities. She is in URGENT NEED of a family law attorney, child custody expert, advocate, or community leader near Tehama County to assist in regaining custody of her children (contact The Human Solution). Supporters are encouraged to donate to Daisy's legal defense fund through Green Aid. Daisy Bram and Jayme Walsh no longer enjoy a quiet life off the grid in rural northern California with their three children, living by the motto "Live simply so others can simply live." Like other residents of remote Concow, CA (near Oroville in unincorporated Butte County), Daisy and Jayme produced their own food and traded the bounty of their organic garden with other locals. Daisy Bram, a midwife who delivered her two youngest children at home, delivered another mother's baby into this world in January 2012, but her own three babies no longer live in her healthy, loving home. The children have been medicated against Daisy's will while in foster care and her newborn was switched to a formula diet in direct opposition to all of Daisy's natural spiritual motherhood ideals and practices. Daisy's ordeal began with a September 2011 law enforcement raid of the medical marijuana garden at the Concow, CA home she shared with her partner Jayme Walsh and the couple's two young children Thor (15 months old) and Zeus (3 weeks old). Daisy's babies, still nursing and never before out of their mother's sight, were seized and placed in a stranger's home. Felony child endangerment charges against Bram were initially dismissed after attorney Michael Levinsohn successfully demonstrated to a judge that dried cannabis poses no potential threat to any living being, much less to a child who might unintentionally ingest dried plant matter (as authorities had alleged). During the ordeal, Butte County attempted to have Daisy's children adopted out; however, she regained custody of her two children and gave birth to a third, Invictus, in fall 2012. One of the many milestones Daisy missed during the four months her babies were in foster case was the first haircut of Thor's ringlets. Not satisfied with the dismissal, Butte County Assistant District Attorney Jeff Greeson re-filed felony child abuse and misdemeanor child endangerment charges against Daisy Bram. While awaiting a trial date for their medical marijuana case and the newly re-filed child endangerment charges, the couple attempted to make a fresh start in a new county that was less hostile to their minimalist lifestyle "off the grid." With the assistance of attorneys working with NORML, Bram and Walsh planned to present an affirmative defense that they grew medical marijuana within the bounds of California state law with valid recommendations posted in their small garden in Butte County. Butte County leads all of California’s large counties in the percentage rate of permanent removal of children from parents. As a result, on Friday March 9, 2012, the NORML Women’s Alliance, along with Butte County residents, put forward a complaint to the Grand Jury of Butte requesting an investigation into the County Children Services Division for the agency’s perceived and widespread misconduct. Shortly after the birth of their third child in late 2012, Daisy Bram and Jayme Walsh moved their family out of Butte County to Red Bluff, CA. In a tragic repeat of the first raid, on January 22, 2013, Tehama County officials arrested Bram and Walsh and removed two-year-old Thor, 16-month-old Zeus, and 3-month-old Invictus from the home. Upon her release, Bram noted that officials scheduled the raid for the day prior to court hearing about the terms of her release in the Butte County medical marijuana case. Daisy has been without her children as well as any means of transportation since January 29, 2013, when officers seized her 2002 Ford Explorer in the parking lot as she arrived for a family court appearance, alleging that the vehicle was purchased with drug proceeds. This incident marks officials' third attempt to bring child-abuse charges against the couple. In California, consumption, possession, and cultivation of marijuana are legal with the medical documentation that Bram and Walsh possess regarding their pain management and mental health conditions, respectively. However, the couple continues to be prosecuted for marijuana "crimes" in both counties. Butte County investigator Eric Clay testified to finding 38 mature plants in a garden as well as seven pounds marijuana during the September 2011 arrest at the couple's Yellow Wood Road house in Concow. The same investigator, this time working for the Tehama County District Attorney, reported finding 53 marijuana plants and 20 pounds of dried cannabis at the Red Bluff home during the January 2013 raid. Criminal cases in both counties are on-going and Daisy has not been re-united with her children as of February 2013. Donate to Daisy legal defense fund through Green Aid, a medical marijuana legal defense and educational fund administered by Ed Rosenthal. Criminal defense attorney Michael Levinsohn is representing Daisy Bram pro bono in both Butte County and Tehama County, but funds are required to hire expert witnesses as well as cover potential bail costs. According to Ed Rosenthal, Daisy “is devastated by the loss [of her children] and fully cooperating with Child Protective Services in an effort to have the children placed back in her custody.” Daisy no longer uses cannabis and is legally separated from Jayme Walsh, who also faces marijuana charges in both Butte and Tehama counties. Freedom fighter Daisy “FreeMyBabies” Bram has requested court support at her Wednesday, February 20, 2013 criminal arraignment on ten charges including cultivation of marijuana, possession of marijuana for sale, and child abuse. The arraignment is scheduled for 8:05 AM at the Tehama County Courthouse, 633 Washington St., Red Bluff, CA 96080. Daisy is in jeopardy of being remanded into custody at the February 20th arraignment and her attorney says bail, if granted, could be as high as $100,000. Last updated February 19, 2013 by Lex Libreman for United States v. Marijuana. Gieringer, Dale. "Daisy Bram's Car Seized While in Family Court in Tehama County." California NORML. California National Organization for the Reform of Marijuana Laws, 30 Jan. 2013. Web. 19 Feb. 2013. <http://www.canorml.org/news/Daisy_Bram_car_seized.html>. Grumbine, Joe. "Daisy's Miracle." The-Human-Solution.org. The Human Solution, 9 Feb. 2013. Web. 25 Feb. 2013. <http://the-human-solution.org/daisys-miracle/>. Hecht, Peter. "Children Taken from Mom in Pot Raid Inflame Butte County Ballot Debate." Sacbee.com. The Sacramento Bee, 30 Mar. 2012. Web. 30 Jan. 2013. <http://www.sacbee.com/2012/05/30/4524455/kids-taken-from-mom-in-pot-raid.html>. Olson, Ryan. "Couple Facing Marijuana Charges Lose Children for Second Time in New Case." Chicoer.com. Chico Enterprise-Record, 24 Jan. 2013. Web. 30 Jan. 2013. 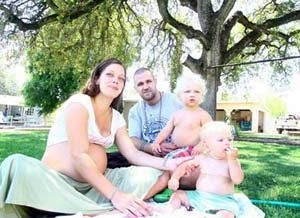 <http://www.chicoer.com/ci_22439432/couple-facing-marijuana-charges-lose-children-second-time>. "NORML Women’s Alliance Requests Grand Jury Investigation Into the Butte County CA Children Services." NORML.org. National Organization for the Reform of Marijuana Laws, 15 Mar. 2012. Web. 30 Jan. 2013. <http://norml.org/women/item/request-for-butte-county-grand-jury-investigation?category_id=728>.